While your significant other hits the woods this weekend, take some time and head downtown for some hunting of your own. 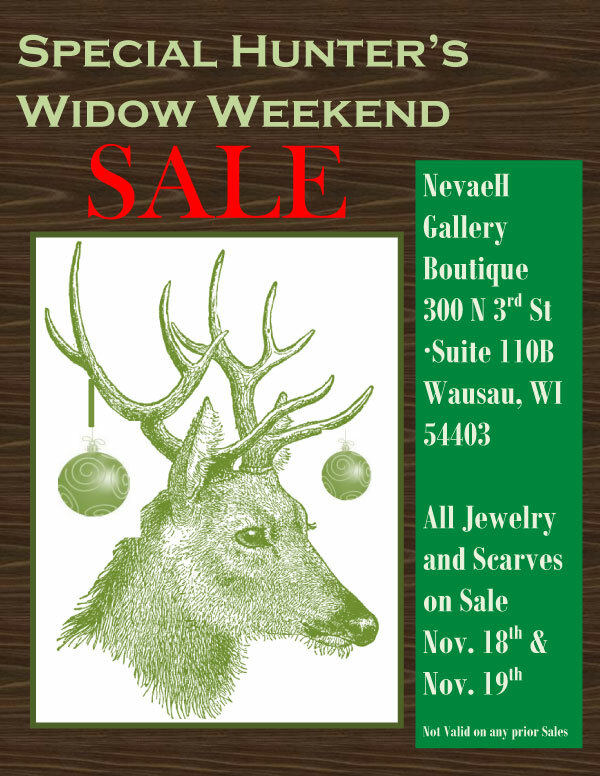 If you are looking for that one of a kind artisan treasure this weekend, stop by the NevaeH Gallery Boutique located in Washington Square building in downtown Wausau. All jewelry and scarves are on sale Nov.18th & 19th. So many custom and handmade styles to choose from. Treat yourself or find that perfect gift for a special someone.